I’m going to have to say some companies are just plain greedy and use misleading marketing tactics to sell products to people who do not need them. 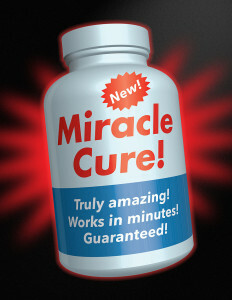 I stumbled upon one company selling a 5 Day Blood Program that they claim can, “Permanently Cleanses! 100% Undetectable, Removes All Toxins from your blood.”. They also sell a four, three, and two day blood detox kit based on the users toxin usage. Here’s the truth people, if you stop taking any type of toxin your body with naturally detox your blood in 48 hours or up to five days depending on usage level of any toxins without the aid of any detoxification program. All these people are selling you is snake oil. Wait at least 24 hours after completing the kit before testing yourself. For most people it takes anywhere from one to three days after finishing the supplement portion of the program before testing clean. Add those extra three days onto their two and three days programs and your body had already naturally detoxified. Save yourself the money and don’t buy any blood detox products, their is no scientific evidence that any blood detox products work and the U S Food and Drug Administration has not approved any blood detox pills. I also highly doubt the companies selling theses products have financed their own research to back up their claims either, most companies selling these products will feed you the line it take five days to work since they know your body with naturally cleanse its self in that period.